Eye-safe video microscopes designed for portability and ease of use. Easy to focus, they feature large LCD screens or USB2.0 video interfaces, and are all CE approved and RoHS compliant. The DI-1000 and DI-1000L-PRO inspect fiber optic connector endfaces, providing clear sharp digital images on your Windows© PC. These video microscopes feature a hand-held probe, enabling inspection of patchcords and difficult-to-reach in-adapter connectors. Benchtop scopes using a USB connection to Windows©-based PCs and tablets to view and save clear detailed images of connector endfaces. Offering more than 140 inspection tips, Pass / Fail analytical software, integratable power meters and more. 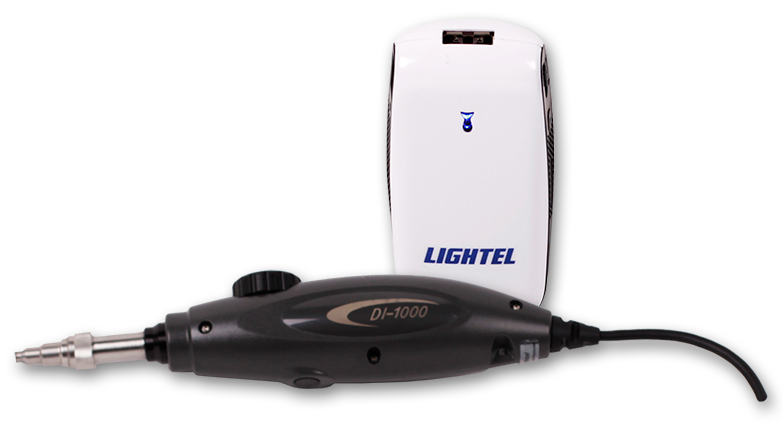 Lightel offers a variety of quality fiber optic cleaning products, allowing you to build your own custom Inspection and Cleaning kit. Rugged microscopes with built-in cleaning cassettes allow you to inspect and clean patchcords all with a single device. Our product platforms include Fused Biconic Taper (FBT), Micro-Optic (Thin Film Filter, Crystals), Planar Lightwave Circuits (PLC), and Mechanical Optical elements. Lightel couplers and splitters are a reliable product with various bandpass, splitting ratios, fiber types and connector/packaging options. Lightel Wavelength Division Multiplexers/DeMultiplexers (WDMs) are used to combine and/or separate two or more wavelengths onto a single fiber. Manufactured using proprietary methods and developed on our workstations, with different fiber combinations available for most designs. Optical crystal-based devices are designed and manufactured for demanding applications across the fiber optic industry. LIGHTEL attenuation products are designed to balance fiber optic signals in either fixed, or variable configurations. Bulkhead or in-line fixed versions are available. Lightel's hybrids allow optical isolation, WDM, and power tap functionality to be combined into a small housing in order to maximize space. Lightel polarization beam combiners and splitters are compact and high performance. Available with optional operational wavelengths and connectors. Lightel's PM patch cords are available with high Extinction Ratio and Return Loss specifications. A variety of fiber jacket options are available. Our Coupler Workstations are the result of a decade of design and implementation in our own facilities, along with customers worldwide. Workstations using pure hydrogen gas from a tabletop generator, tank supply, or oxygen, can achieve high enough temperatures to develop Fused Biconic Tapered devices, Power Combiners, Wavelength Division Multiplexers, Thermal Core Expansion devices, and many other products. 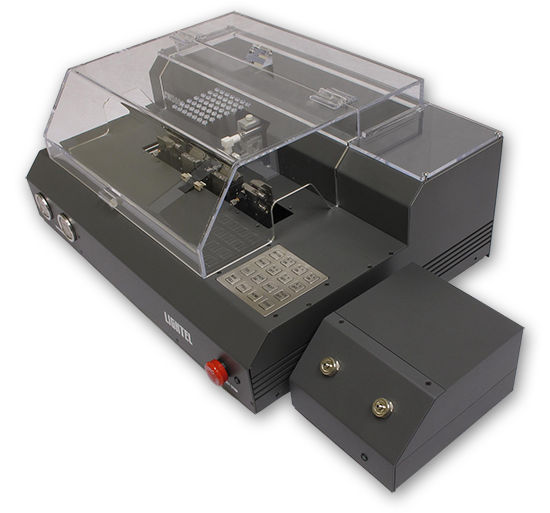 Ideal for production or R&D, the Lightel CW-7000 series workstation is a very useful tool to aid in the development and manufacturing of fiber bundle tapering and fiber laser pump combiner manufacturing. The CW-200B has proven to be well-suited for the mass production of Fused Biconic Taper products. Its small footprint allows for efficient use of space, and years of low-maintenance use have made it a popular manufacturing solution. 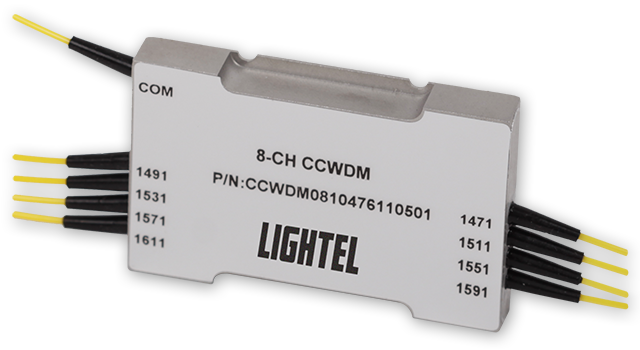 Lightel's CW-5000 workstation is designed to fabricate a wide range of fused fiber optic products, including biconical tapered fused couplers, single fiber tapering, and fiber processing. Designed to minimize bench space and maximize utility, the FiberForge is a useful platform for research activities, new product development, and the manufacturing of both standard and novel fiber components. The GPST-1000 is a gliding-plasma based fiber coating stripper that functions with a variety of fiber coatings, including polyimide, hard polymer, silicon, acrylate, metal, and more. The LTL-H2-500-2 is a high-purity hydrogen gas generator designed for gas chromatography and other applications. It has been widely used with our fiber fusion workstations to produce fused coupler products with high quality and reliability.